Golf legend Arnold Palmer was born in Latrobe, Pennsylvania, on this day in 1929 - he would go on to become one of the most successful sportsmen of all time, winning over 90 championships, including seven majors and four Masters. 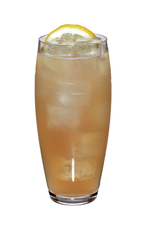 Most famously for cocktail geeks, he donated his name to one of the world's best mocktails - an addictive combo of home-made lemonade and iced tea. No slouch at marketing, Arnold marketed his own version under the brand name Arnold Palmer Tee. For a true, refreshing flavour, mix your own Arnold Palmer at home with freshly brewed breakfast tea and remember this great sportsman who died 26th September 2016, aged 87. On this day in 1963, a rather bewildered BBC announced a new-fangled arrival on these shores: an American Express credit card, available to members for an annual fee of three pounds and twelve shillings. The Bank of England allowed this foreign incursion on condition that folk wouldn't spend more than £75 on any single item abroad. The Beeb observed that "this move by American Express is bound to give a powerful boost to the idea of credit cards in Britain, which have not, so far, spread very far": Diners Club, which beat American Express to the jump, never really penetrated the UK market. Today, Britons owe around £63.1 billion, or £2,336 per household on them. And, yes, just as banks sold financial products based on sub-prime mortgages, they continue to sell products based on credit card repayments. Call us cynical, but we're marking this particular anniversary with a Rocky Left Bank.